If you live a comfortable life at work, at home, and in your mind then you can stop reading. If you fight fear, then keep reading. Fear doesn’t run away scared. You can defeat it, though. Fear is my greatest enemy, and it attacks in many ways. That’s why I’m creating the “What Fear Says” series. This series can be read in less than an hour that will help you understand how fear works. 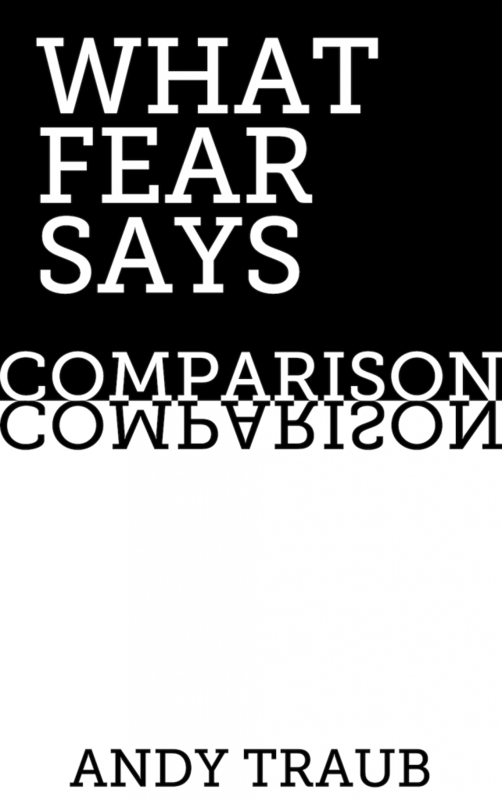 The first topic I’m tackling is Comparison. To be clear, I’m not lecturing you on how to defeat fear. Fear is never defeated because it never goes away. We can avoid it by hiding, but we can’t avoid it if we want to make a difference. You wish to make a difference, so you’ve got to understand and confront fear. Fear only goes away if you’re doing something that’s unimportant. Fear is a sign that you’re going in the right direction on your creative journey. Fear is not a stop sign; it’s a mile marker to let you know that your trip isn’t over. If you fight fear, then you’re doing something important. 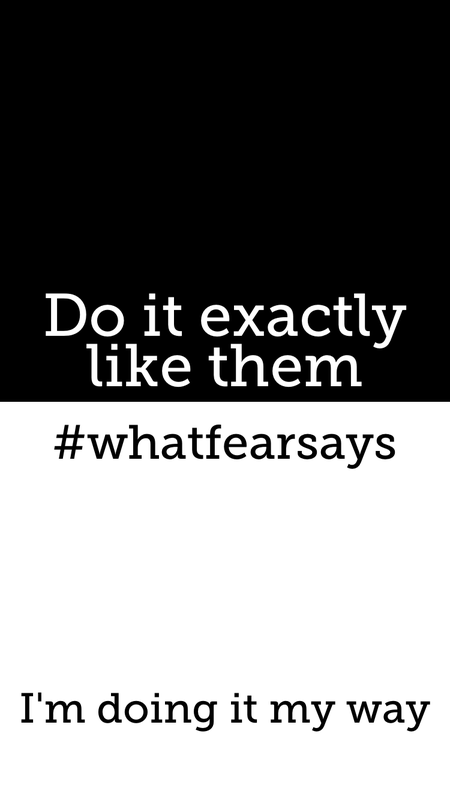 The “What Fear Says” series will help you fight back against fear. To combat an enemy, you must understand it. That’s why I’m creating the “What Fear Says” series. 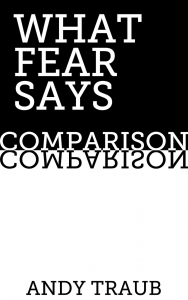 The first book is about COMPARISON. These books will be easy to digest and full of stories about how fear works. I’m giving it away as soon as it’s done (by the end of March 2016) in exchange for your email. It’ll be available in print and on Amazon soon too, but ideas spread when we uncage them, so that’s why I’m giving it away if you want it. There’s no “course” at the end. There’s no mastermind called Fear Warriors that I’m going to convince you to join. Maybe one day I’ll have more ways to help you fight fear but right now I’m taking this project one step at a time. Today it’s about finishing the first book. I hope you’ll sign up to get it and spread the word. Below is the cover of the book.